Chief Whip, House of Representatives, Alhassan Ado-Doguwa, has attacked Senate President, Bukola Saraki, over his comment that declaration of Indigenous People of Biafra, IPOB, and Nnamdi Kanu, as terrorists, was unconstitutional. Saraki had stated that: “The announcement of the proscription of the group known as Indigenous People of Biafra (IPOB) by Governors of the South-east states and the categorisation of the group as a ‘terrorist organisation’ by the Nigerian military are unconstitutional and does not follow due process. Reacting, Ado-Doguwa said Saraki’s declaration was “a mere political statement”. His words: “I am sure the Senate President was only expressing his personal opinion, which I further believe was not a good one in the given circumstances. “The Nigerian Armed forces in my opinion are doing their best professionally and in the best interest of a united Nigeria. Even the south-eastern state governors have declared the activities of Kanu’s IPOB as illegal and therefore proscribed. He (Senate President) can’t cry more than the bereaved. 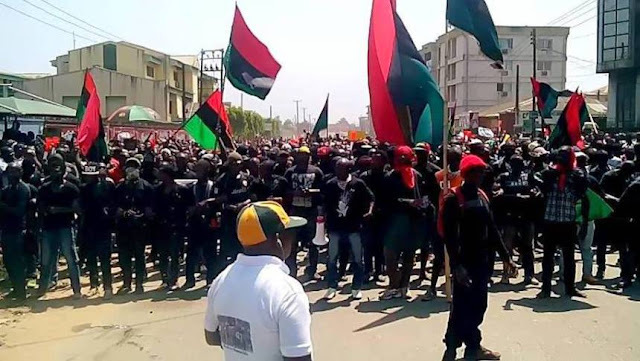 The decision, it was gathered, was to douse ​tension that has enveloped the region following onslaught against the IPOB​ by soldiers.